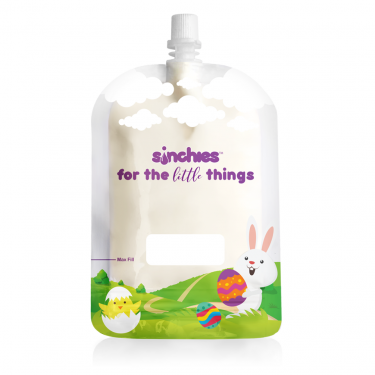 We know you’ll love Sinchies reusable food pouches once you try them but thought we’d offer our customers a try before you buy option. All you have to do is pay postage and handling costs and we’ll send you out a pouch of your choice. PLEASE NOTE: This product does not qualify for free shipping or other discounts. Adding other items to your cart along with this special deal will incur additional postage costs. * Please note this is limited to 1 pouch per customer – only one pouch may be chosen to try. 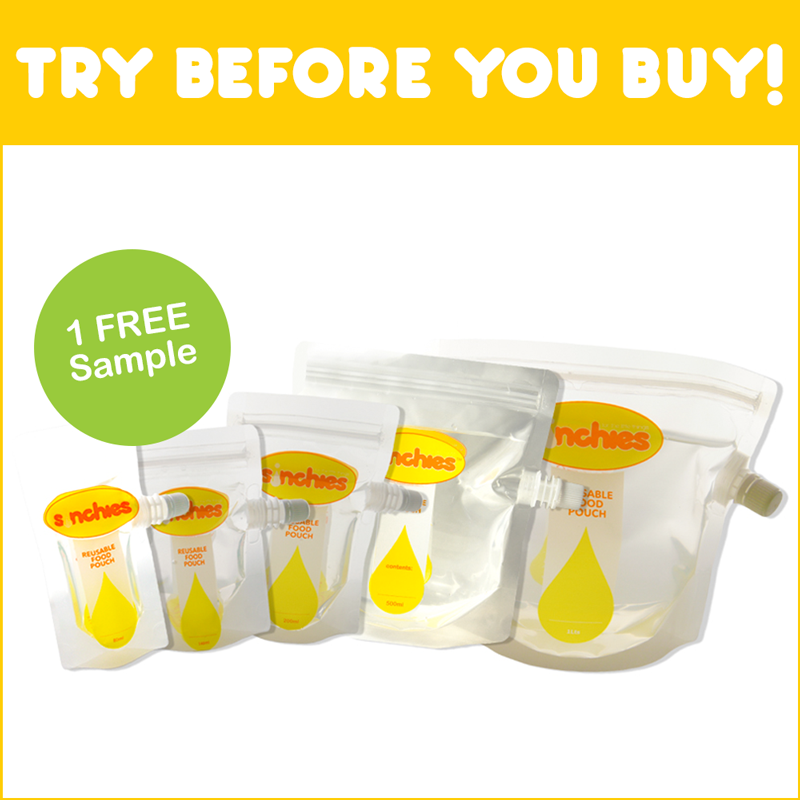 As this is a “Try before you buy” – the pouch chosen to try should be different from the pouch sizes you are already purchasing. 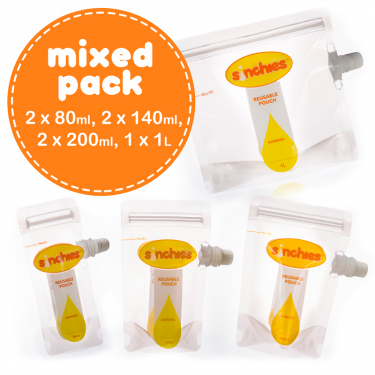 80ml – an awesome lunchbox size! Best suited to yoghurt, custard, yogo, rice pudding and even sunscreen. 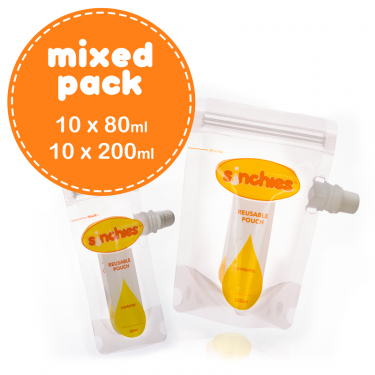 Great on international flights with the 100ml liquid restriction! 140ml – great for purees, smoothis, jelly, salad dressing, dips, storing 100 & 1000’s and herbs! Pops – a reusable ice-block pouch! Fill them with your favourite juices, yoghurt, ice-cream mixes and freeze for a healthy homemade treat! Sandwich Bags – A new addition. A reusable sandwich or glad type bag! 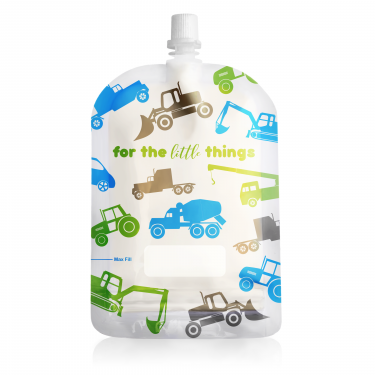 Perfect for school and daycare lunchboxes and for storing & freezing a multitude of things! There are great as wet bags too! Snack Bags – our latest addition. A snack sized glad bag, that can be used over and over again! Perfect for school, daycare, lunch boxes and home these can be used to store all sorts in. From sultanas to cotton wool balls when travelling, the list is endless!